Sitting by the fire, watching the snow come down outside, it feels very appropriate to be writing about winter white! I don't know about the rest of the country, but California decided to switch winter and spring seasons this year. So after a couple of months of beautiful, warm days, we're now being greeted by rain and snow! But even if you do live in sunny Florida or tropical Guam, here are a couple fun diy projects for your next event! 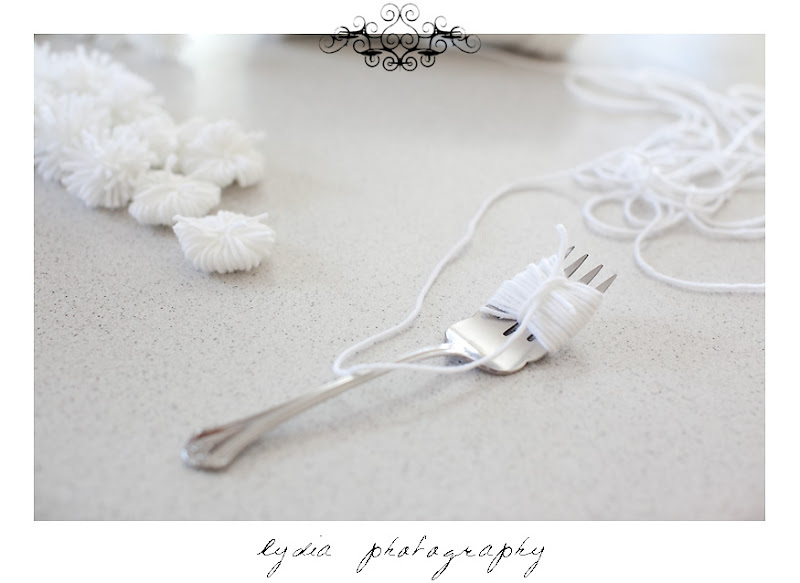 I knew I wanted to incorporate more crafty projects into this last inspiration shoot. Photo booths are such fun reception entertainment, why not personalize it a little more with a cool background? 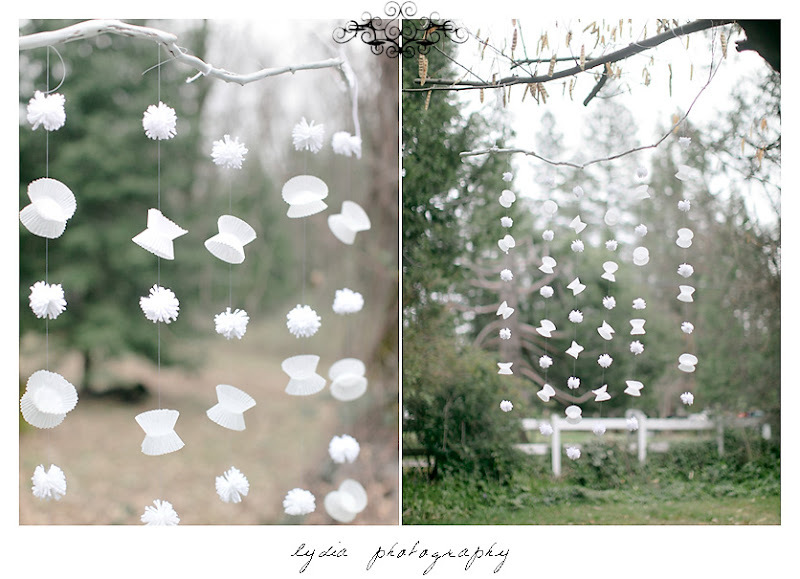 By hanging yarn pompom balls and paper cupcake liners on fishing line from a painted manzanita branch, all I needed was a little more string and a tree to create the perfect backdrop! But there's more! 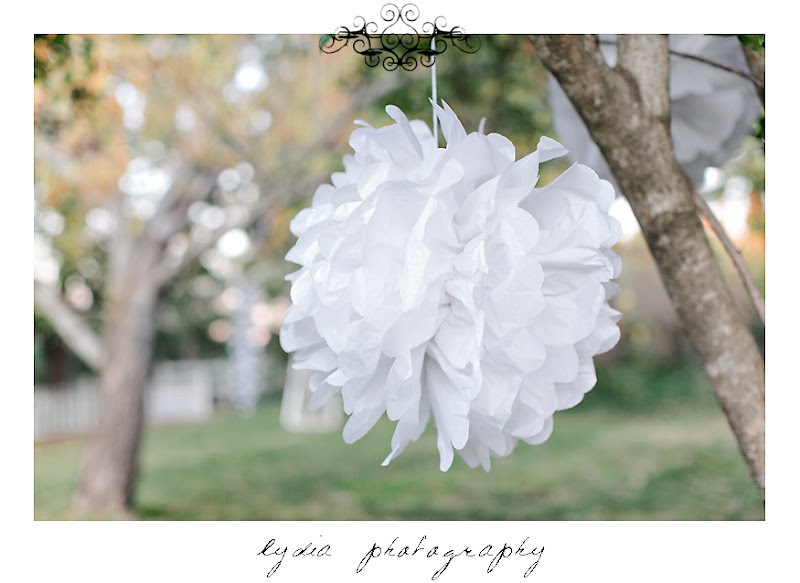 One of my favorite decorations has always been tissue paper pompoms. 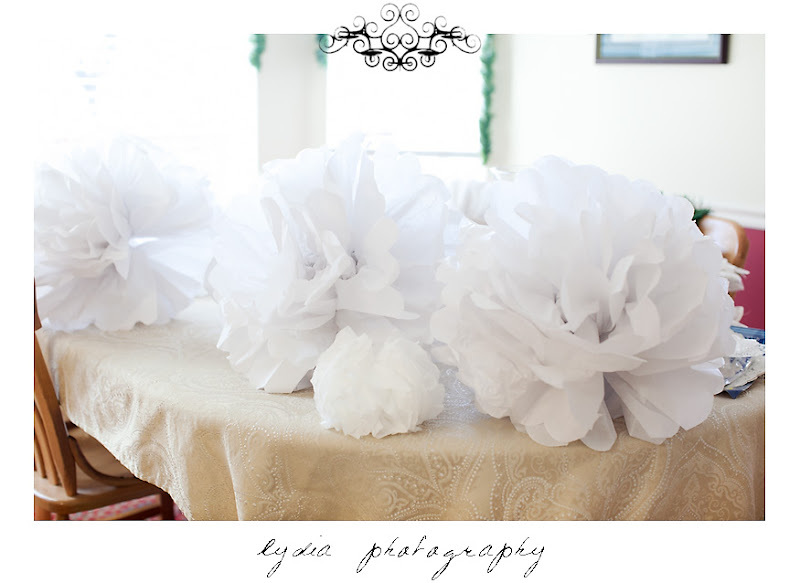 They're so simple to make, and it's easy to find all sorts of shades of tissue paper to match your colors. I can just imagine them hanging from all the trees combined with white lights for summer backyard reception! OOOH I LOVE!!! SO pretty Lydia!